Bell Let’s Talk, taking place on January 25, 2017, is a wide-reaching, multi-year program designed to break the silence around mental illness and support mental health all across Canada. In honour of this day, we bring you a list of Canadian books for kids and teens that broach various topics relating to mental health. Pick up one of these great books at your local bookstore or library. Everyone called him “the Crazy Man.” But Charlie loved the sparkling blue eyes and fantastic outfits of this strange man on the street. One day Charlie overhears another kid making fun of the Crazy Man and a fight breaks out. Charlie’s punched and falls into the path of an oncoming car, but just in time, he’s saved by the Crazy Man. Years later, Charlie gets the chance to repay the Crazy Man. He hires Edward—the man’s real name—as a designer at his costume factory, and Edward’s creativity saves the day. A touching, funny, and humane tale of one boy’s efforts to help one man and change perceptions about homelessness and schizophrenia. 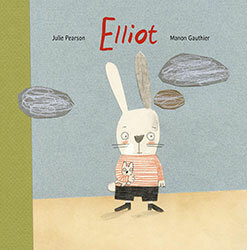 Elliot’s parents love him, but they don’t know how to take care of him. 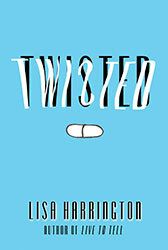 When a social worker named Thomas comes, Elliot’s world turns upside down. His foster families are kind, but everything is strange and new, and all the changes make him cry, and yell, and misbehave. When it is clear that Elliot’s parents will never be able to take him back, Thomas finds Elliot one last home — a forever, forever home. This title is also available in French under the same name. 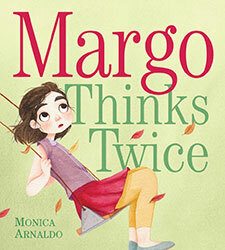 Margo is an imaginative, adventurous little girl who has just one problem — Margo’s mind turns everyday advice into worries and worst-case scenarios. 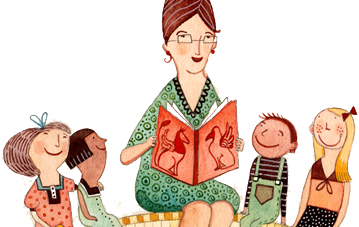 Luckily, Margo’s mom comes up with an idea to ease her daughter’s anxieties and encourage her inventive spirit in a positive way. 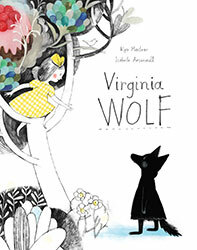 One day Virginia wakes up in a wolfish mood, and when her sister Vanessa tries to cheer her up, nothing works — not even making funny faces at their brother. Finally Vanessa decides to bring the outside inside by painting trees, strange candy blossoms, green shoots and frosted cakes on the walls of their room. This is a tale that looks at depression and celebrates the transformative power of art. Chick feels like he is on this earth to live up to his father’s impossible expectations, and the pressure is a grinding source of anxiety for him. He copes by making lists, itemizing every aspect of his life. 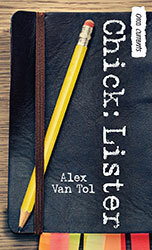 But as the pressure of a potential romance and being on the school debate team builds, his listing compulsion starts to feel impossible to control… or conceal. 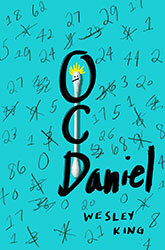 Thirteen-year-old Daniel — a budding author, friend and second-string football player — is plagued by “Zaps,” triggers such as an unlucky number that compel him to repeat certain actions — rituals that leave him exhausted and positive he is crazy. His life gets weirder when Sara, a selectively mute schoolmate, sends him a mysterious note and draws him into a mystery that just might change everything. Thirteen-year-old Henry’s happy, ordinary life comes to an abrupt halt when his older brother, Jesse, picks up their father’s hunting rifle and leaves the house one morning. 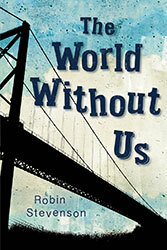 What follows shatters Henry’s family, who are forced to resume their lives in a new city where no one knows their past. 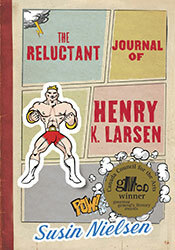 At school and in his apartment building, Henry eventually befriends a group of oddball characters who help him adapt to his new life. Gregory loves numbers — they don’t change and you can always count on them, literally. Numbers also allow Greg to keep his mind off his father, who died in a car accident. Gregory has never been able to go back to the scene of the crash, which makes it difficult for him to get to school. With the help of friends, maybe Gregory can find a way to use numbers and math to overcome his fear and start to heal. Emerson Yeung seems to have every reason to be happy — good grades, friends and a part time job at the family business. But extreme pressures to be the perfect son — including his dad’s emotional abuse — and a racist prank at school are too much and Emerson’s depression turns suicidal. Anna has never felt like she belongs, but now she feels detached. The only solution she sees is taking her own life. Through the perspectives of Anna, her best friend and her mother, her story shows how depression taints even the simplest human interactions. 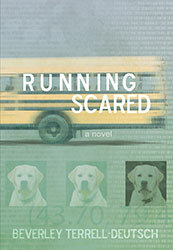 The horror of becoming an adult, and leaving childhood behind, has broken Lila’s heart. She likens herself to a half-human faerie creature not belonging to the earthly world; in reality, she is a psychiatric patient, being treated for anorexia — her sickness driven by the irrational need to undo nature and stop time. 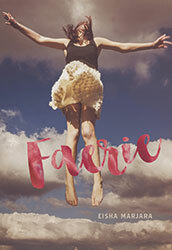 Lila is desperate to escape her body, to set the faerie inside her free. 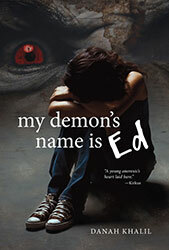 Danah’s journal reveals her struggle for control over her eating disorder — the demon in her head she calls Ed. Inspired by 18-year-old author Danah’s own journal, where she documented years of torment as she wrestled for control over her physical and mental health. In the wake of her mother’s death, Lyssa flees her alcoholic stepfather and heads for Halifax to live with her boyfriend and attend university. 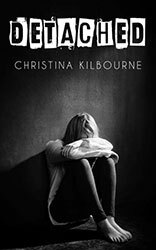 But things don’t go as planned and with nowhere to turn she reconnects with her estranged stepbrother, Aidan. After finding some discarded medication, she realizes all is not right, and Aidan is not the person she remembers. What do you do when someone you care about wants you to follow him to a very dark place? When Mel meets Jeremy, she thinks she has found someone who understands her, someone who will listen to her, someone who cares. 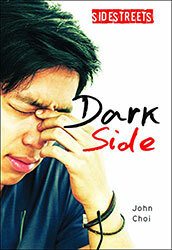 But Jeremy has secrets that torment him, and Mel isn’t sure she can save him from his demons. All she knows is that she must save herself. 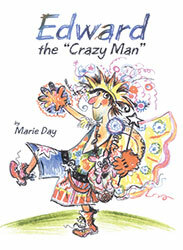 This accessible title helps kids understand anxiety and offers practical ideas for coping. 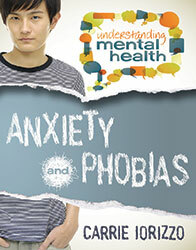 Filled with information, quizzes, definitions and helpful hints, this book helps young people identify and deal with the different ways that anxiety is expressed, from phobias to panic attacks, in settings as diverse as home, the schoolyard and the mall. Strategies for kids coping with anxiety are included. Anxiety disorders, such as phobias, panic disorder and obsessive-compulsive disorder, form the most common group of mental illnesses. This informative title examines different anxiety disorders, including their causes, symptoms, effects and treatment options. A chapter on caring for others discusses how anxiety and phobias affect young people with siblings and parents who have the disorder. This insightful title provides an overview of Attention Deficit Hyperactivity Disorder (ADHD) and other emotional and behavioural disorders, including Oppositional Defiant Disorder. 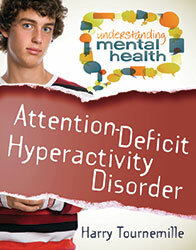 Symptoms, causes and treatment options and management are discussed. Behavioural, emotional and learning difficulties are explored and discussed from the perspective of individuals living with ADHD, as well as from the perspective of family and friends who know someone with the disorder. 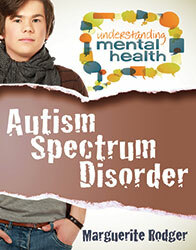 Autism Spectrum Disorder (ASD) is a group of disorders that affect brain development. The syndromes within ASD include autism, Asperger syndrome, pervasive developmental disorders and others. This informative book provides insight into how people diagnosed with an ASD experience the world and promotes understanding and acceptance. A chapter titled “ASD Toolbox” gives positive tips and tricks to cope with the daily realities of living with an ASD. 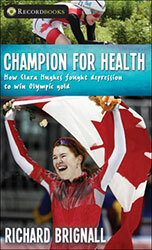 From abusing drugs and alcohol from her early teens, to the Olympic podium, Clara Hughes has had an amazing journey. When depression threatened to take over her life, she pushed harder to be a world-class competitor in both speed skating and cycling. Clara has become a true champion – her courage has made her a symbol of the fight to remove the stigma from mental illness. Depression and mood disorders are common but serious mental illnesses that occur across all age groups, genders, economic classes and ethnic groups. 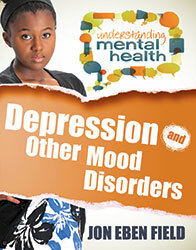 This enlightening title examines the causes and symptoms of depression and other mood disorders and provides information about treatment options. There is a chapter on caregiver support as well as one titled “Depression Toolbox” that offers useful coping strategies for daily challenges.